I thought I’d share an exercise which I go through when choosing which books to further help my understanding of Social Business and Social Media. Find a book that looks interesting on Amazon. 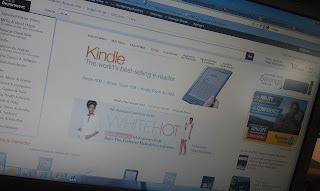 I use the Kindle application on both my iPad and Android phone. Read through the comments which have been left by other readers, keep in mind that they could be novice readers and therefore their comments may not be well validated. If someone has written a book about Social Media, then they should be able to show some sort of success. Find their Blog, Twitter, Facebook and LinkedIn accounts. Now consider this, do they have much of a following on Twitter? If so, what is their following/follower ratio like? Do they have a high amount of followers compared to the people they follow? How often do they have conversations with people, how engaged are they? Likewise, give the same consideration to other popular social media accounts. How often do they blog? Are they blogging on subject? This method of review is very simplistic at best, but it is useful for a couple of reasons. Obviously, you want to ensure that your money has been well spent, but more importantly you want to make sure that you’re not about to emulate another persons mistakes. You’re checking for credibility.